Expedia (NASDAQ: EXPE) is in the midst of reviving its brand and the stock after a tough second quarter. Results in 3Q ’13 showed it stopped the bleeding from the prior quarter and the stock has responded positively and is trading close to levels before the 2Q report. 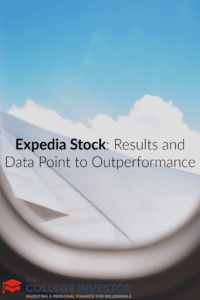 There could be more upside to the stock, with recent data points supporting continued strength in Expedia’s core business. In addition, management is a leader in online marketing and Expedia should continue to outperform as a result. Expedia is the largest online travel company in the world that includes an extensive list of online brands. Hotels.com, Hotwire.com, and Expedia.com are three better-known brands in the United States. However, it also owns: eLong, the second largest travel company in China; Egencia, the world’s fifth largest corporate travel management company; Venere.com, an online hotel specialist in Europe; among others as well. Expedia released a study from its MediaSolutions group on November 20th that takes look at how travelers are using travel sites, through which devices they are viewing them, how they are purchasing, and if the content steers their decisions. The leisure and travel market is a $58 billion industry and travel accounts for 37% of all e-commerce in 1H ’13. According to the study, online travel spending is up by 8% year-over-year and mobile devices are accounting for an increasing share of devices browsing content but have not replaced the PC. The time spent browsing from mobile devices is up by 45% year-over-year and the time spent via a PC is up by 2% year-over-year. In terms of total share, mobile accounted for 28% but 24% of travelers exclusively use mobile. 55% of travelers look for hotel information, 46% are looking for weather/climate info, 45% for airfare, and 42% for activities. Weather/climate and restaurant reviews are the two most viewed types of content on mobile devices. 36% use image content during the decision process. The interesting part of the survey is that travelers look at a broad range of content from a variety of sources and devices. This creates significant opportunity for a brand to advertise across channels to reach its audience. Expedia is focused on advertising across platforms and can use its size, various brands, and scope to take advantage of these opportunities. Expedia shares pulled back significantly after its 2Q earnings report based on the results. The shares traded at depressed levels until they released 3Q ’13 results at the end of October that assuaged concern and caused the stock to significantly rebound. Share loss to Booking.com, owned by Priceline (NASDAQ: PCLN), was of concern to investors. In its 3Q ’13 earnings report, U.S. bookings increased by 13% ahead of the consensus and the 7% in 2Q ’13; international was in line with expectations. Revenue was $1.402 billion versus consensus of $1.376 billion for an increase of 16.9% year-over-year. EBITDA was ahead of expectations at $335 million and beat the $324 million expectation. The air business and stabilization of its Hotwire business drove the earnings beat. In a research report from FBR on share trends, it stated Expedia has a market share of over 50% in U.S. online travel hotel bookings. In October 2013, it had a share of 52% versus 49% in October 2012. Market share gains from Priceline’s Booking.com and its push into the U.S. market has been a concern to investors. It did gain share from 4.8% to 7.1% in online travel hotel bookings. However, the share gains did not come at the expense of Expedia’s brands with share for all other brands declining to 41.4% from 46.5%. In addition, pricing trends showed signs of accelerating growth in October with average room rates up 4.4% versus 3.5% during 3Q ’13. The stock currently trades at 16.7x FY ’14 consensus earnings and at 11.6x TTM EV/EBITDA. This compares to Priceline.com at 22.7x FY ’14 earnings and a TTM EV/EBITDA of 22.5x. Also, Orbitz Worldwide (NYSE: OWW) trades 21.6x FY ’14 earnings and 8.7x TTM EV/EBITDA. Trends are generally positive in the industry and both Priceline and Expedia are participating to a high degree in accelerating trends within online travel agents. In particular, it seems both have good internal stories going with Priceline, its Bookings.com business, and other drivers which can lead to higher-than-average industry growth. For Expedia, re-acceleration of its Expedia brand and a stabilization of Hotwire can lead to outperformance. While the shares have jumped following the recent quarter for Expedia, it does appear there is more upside based on the recent data and a belief that the management team can continue to be a leader in marketing online travel agent services. Editor’s Note: If you do quite a bit of traveling, you may want to learn how to manage your investments while you’re away from home. Thanks for sharing. I used to use Expedia and Travelocity several years ago for all my airline flight purchases, but since the airlines have it set up now where they generally offer the lowest rates when buying direct from their websites, I’ve tended to use Kayak.com more and then purchase directly from the airline.